From 2020, all new Jaguar and Land Rover vehicles will have some form of electric motor. But the manufacturer still believes that diesel and petrol engines have a part to play. 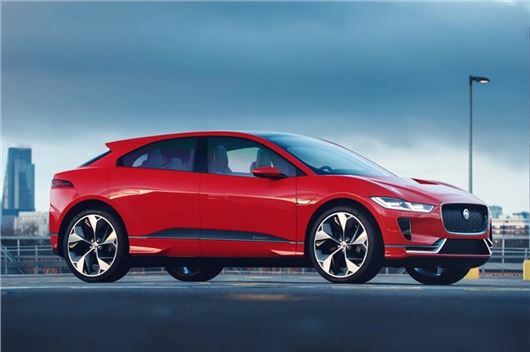 With the number of electric and hybrid vehicles on the rise and the Government's recent announcement that it wants to ban the sale of all new petrol and diesel powered cars by 2040, Jaguar Land Rover has firmly staked its place in an electric future. "We will introduce a portfolio of electrified products across our model range, embracing fully electric, plug-in hybrid and mild hybrid vehicles," said Jaguar Land Rover Chief Executive Officer, Dr Ralf Speth. Jaguar has already unveiled its first all-electric car - the i-Pace - which is set to go on sale in 2018. Plus, with a nod to the past, it has put an electric motor in a classic E-Type. But the brand says that conventional engines will still play a key role in the short term. "When it comes to different types of drivers needing different types of engines, customers are demanding a choice - and diesel has a role to play in that," said Iain Gray, senior manager powertrain advanced controls at Jaguar Land Rover. Indeed, Jaguar Land Rover has invested £1 billion into its Engine Manufacturing Centre in Wolverhampton, to build low emission, high-performance petrol and diesel versions of its Ingenium engine. While electric vehicles are on the rise, with a 58 per cent increase in registrations since last year, they still only have a five per cent share of the UK car market. Petrol engines account for 55 per cent, while diesel - although declining of late - still makes up 40 per cent. There is also a question mark over the infrastructure needed for a big increase in the number of electric and plug-in hybrid cars on the roads. The UK currently has around 5000 charging stations but many remote areas are not served at all. The fact there are still four different charging plug types rather than a universal one, makes it all the more complex.